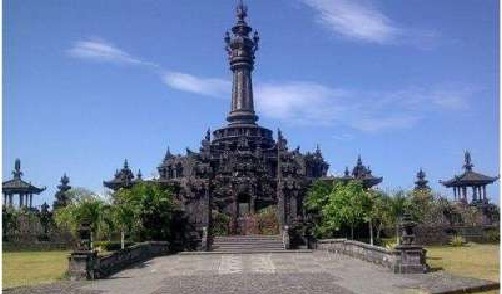 Bajra Sandhi, is a monument located in the city of Denpasar,Renon area. This monument was built and dedicated to the struggle of the people of the island of Bali.The originator of the idea of the construction of this monument is Prof. Ida Bagus Matra then served as Governor of Bali, in 1980. The architecture of this monument is Ir. Ida Bagus Gede Yadnya, who won the architectural competition of this monument in 1981. Architectural design from Ir. Ida Bagus Gede Yadnya has the meaning of the independence day of the Republic of Indonesia 17 August 1945, with 17 entrance gate design, 8 main pillars and 45 meters monument altitude.Bajra Sandhi Renon Monument, the beginning of development began in 1981 and then stopped and continued in 1987. The inauguration of the Bajra Sandhi Monument was done by the then-then President Megawati Soekarno Putri on June 14, 2013. In front of this Bajra Sandhi Monument the holding of a parade of Balinese art performances annually, usually opened by the President of Indonesia. 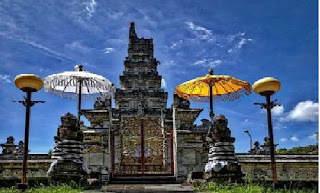 Jagatnatha Temple is the biggest Hindu temple in the capital city of Bali, eastside field of Puputan Badung..This temple is categorized as Kahyangan Temple and become an altar to the god for Hindu people. When comparing with the name of Kahyangan Temples or other temples around Bali Island then this temple’s name is taken from the name of mount or village which is relevant to the temple located in Besakih Temple area, Ulun Danu Batur Temple area, Lmpuyang Temple area, Andakasa Temple area, Puncak Mangu Temple area and others. 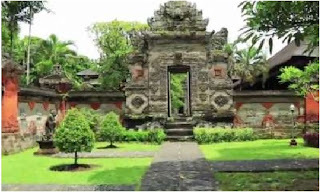 Bali museum located on jalan mayor wisnu no 1 denpasar city. It’s one of the biggest in indonesia. The effort to establish this museum came from W.F. 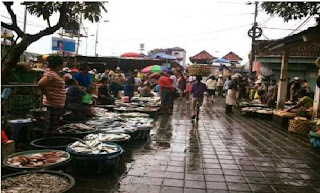 I Kroon the ducth commander of bali in 1910, then continued by Dr. W.F Stuuerheim, an expert of the ducth administration historical department. The museum was officially open on the 10th of December 1932. Three main buildings are: the tabanan, the karangasem and buleleng buildings. This museum collects various implement, cloths, artworks, religious paramernalis, stone and so on.